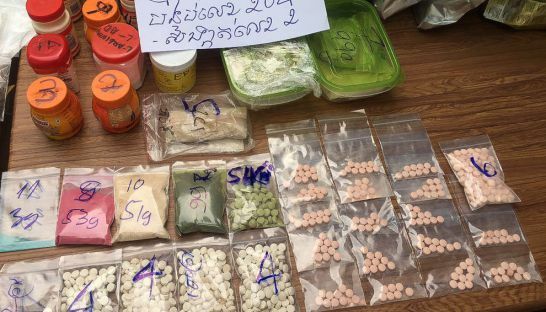 Five foreigners were arrested in Sihanoukville over the weekend and drug-making facilities were uncovered after a suspicious landlord called authorities about an American tenant’s unusual behavior, police said on Monday. Three foreigners were arrested outside a restaurant where they were sitting together, preparing to exchange drugs, before police searched a residential bungalow at about 1:30 p.m. on Saturday and found various drugs and drug-making equipment, said Sun Sophat, deputy police chief in Preah Sihanouk province. The three—identified as Melnyk Volodymyr, 27, of Ukraine, Hannah Sirkia, 28, of Finland and Lenya Vlkoval, 26, of the Czech Republic—were brought to the provincial police headquarters for questioning on Saturday.